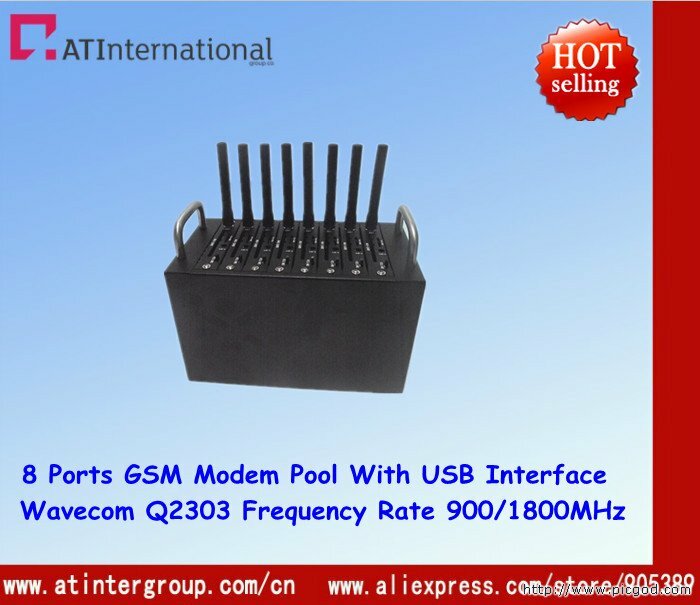 The device built-in 8 wireless modules can be inserted eight SIM cards, can use eight cards to send text messages, send speed as 8 times as a single channel modem. It uses the development of WAVECOM module, 220V power supply, can be a long time stability, generous luxury housing. 5, enterprises and customers (members) between the corporate partners, businesses and staff in the need for more exchanges. •Send clusters:can be sent automatically to a large number of goals the same information. •Widely distributed: the geographical distribution of the target information widely scattered to support fast: after message, just a very short time can be transmitted to the target. •Convenience:the information through the portable phone to receive. •Accurate:the message can reach the goal of accurate and timely manner. •Exhaustive:the information sent by the computer system, significantly to avoid the artificial missing information. •Strong visibility: the way the text information to send and receive. •Economy:the reception of free information, send the cost of the SMS service provider in accordance with the rates, no long distance and roaming and other additional costs. •Time-saving and efficient: the same information can be sent at the same time to multiple targets; and canmake use of multiple parallel processing terminal to send and receive text messages, thus saving a lot of time.